I was raised in Texas and grew up with a love the outdoors. During my first career, I spent almost 20 years in the oil and gas industry. My primary focus was financial services related to the oil and gas exploration business. I spent the majority of my time managing investments for high net worth investors. In 2002, I founded an oil and gas exploration company and placed approximately $100,000,000 of investment capital in various exploration projects across the United States. In 2011, I started S&B Enterprises and began investing in the exotic wildlife industry. I was very successful with this project and was approached by investment partners with an interest in participating. As the result, I co-founded Wildlife Partners in April 2016. I live in San Antonio, Texas with my wife Cori and my three children. Brian and I both grew up with a love for the outdoors. Whether it was just walking through the woods or fishing our Grandfather’s pond in Silsbee, TX, it didn’t matter as long as we were outside. That same love grew into a love of wildlife and pets which led me to my first career stop, working for a leading aquarium products manufacturer based in Moorpark, CA. After 4 years in the pet industry, I transitioned into the Information Technology industry. I spent 9 years working for a large publicly traded company based in Denver, CO where I was directly responsible for more than $50,000,000 in services sold. In 2009, I joined Brian in the oil and gas business. In the oil and gas business I have been responsible for overall operational management functions including investor relations and managing oil industry partner relationships. This diverse career path has helped me develop a strong background in organization management, marketing and sales. In my personal time, I’m an avid outdoorsman and a competitive bass fisherman. I live in Frisco, TX with my wife Stephanie. Joe’s background is both broad and deep. He’s a former Navy Fighter Pilot who spent the vast majority of his years in the Aerospace industry mostly in the role of President, CEO or COO. In the late 1990’s and early 2000’s, Joe was the President of Boeing Airplane Services. He took that division of Boeing from $265MM in annual revenues to more than $3.2B in just 3 years. After his career with Boeing, he went on to multiple other companies with similar results helping all of them implement organizational structure, processes and leadership. To quote Joe, “I’ve retired twice, but I’m not very good at it.” Joe’s leadership and experience with identifying problems and creating long term solutions is invaluable asset to our company and all of our partners. Joe manages all day to day operations for WildLife Partners. WildLife Partners has established a consulting relationship with Kevcat Safaris which is owned by Dr. Kevin Robertson. 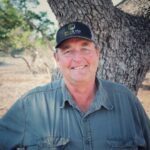 Kevin is a recognized expert in African wildlife management, bringing four decades of experience in multiple disciplines of Wildlife conservation. A qualified veterinarian from the University of Pretoria’s prestigious Ondesteport Veterinary faculty, Kevin “Doctari” Robertson is the author of multiple books that provide in depth insight into all aspects of ethical wildlife utilization. 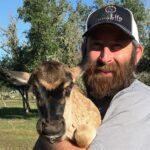 Kevin’s early career focused on establishing a rural veterinary practice in the northwestern Mashonaland region of Zimbabwe, while also managing a large Beefmaster cattle herd. This experience provided insights on both wildlife and livestock management. The Robertson family and their Zimbabwe farm were eventually to become victims of that country’s disastrous land reform policy – and after being displaced they relocated to South Africa where Kevin remained involved with wildlife management, developing game ranches in South Africa, Botswana and as a wildlife consultant in Namibia. For many years Kevin headed up the Sustainable Use & Field Guiding department of the Southern African Wildlife College based in Kruger National Park where together with his lecturing duties he was the college’s veterinarian. 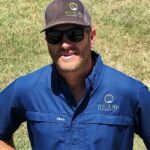 Jason Williams has a Masters and Doctorate in Animal Nutrition from Texas A&M University. He has an extensive background in developing and maintaining nutritional plans for all forms of wildlife. He is responsible for the proactive formulation and review of all species specific animal diets including all taxonomic groups currently on WildLife Partners’ breeding facilities. As part of the ongoing maintenance of our herds, he also performs regular exams as related to body condition scoring and review of nutrition specific hematology. Brian has been around the livestock business his entire adult life. His passion for raising and caring for wildlife is second to none. 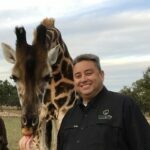 He previously managed operations for ranches in Texas and Montana. He has managed all day to day operations at our Pettus Breeding facility since it was first acquired in November of 2016. He lives on the Pettus facility with his wife Alicia and their children. Hunter grew up in Harper, TX and starting working with exotic live stock when he as 14 years old. After high school he went to work for a friend in the exotic sales business before getting into the livestock sales and purchasing business on his own. 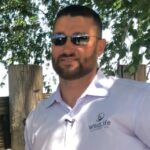 He has been with WildLife Partners since the day the company started and today leads our animal purchase and sales team.